Do you remember the times when you drew the cute postcard and gave it to your closest relatives? We bet that your mom and dad still keep them because they bring back the warmest, the most wonderful memories of their beloved child. However, time does not stand still and we start to focus on the material value of the gifts we give to our loved ones. It is not bad, but sometimes something creative and adorable can express your deep feelings better than any practical gift. Today you can order a printed book that will be as adorable as the self-made postcard and even more meaningful for your dear husband or wife, girlfriend or boyfriend. 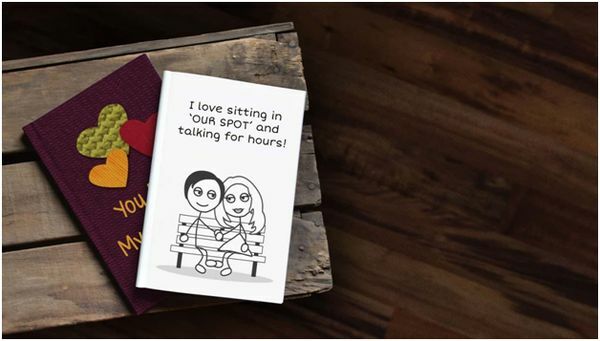 The idea of personalized gift books is unique – you can list the reasons why you love your significant other in the most creative and at the same time sentimental way. You can customize it by yourself: choose the skin, eyes, hair to make the characters look exactly like you and your soulmate, and they will appear throughout your unique book; select the cover, title, and font size you like the most; add your own illustrations; choose the text and positions! We bet that you will also have a lot of fun working on the design of the future present. Furthermore, it is a real book, not just the pages with pictures on them, so you will be able to add your special jokes, put in the best moments and sweet declarations of love. 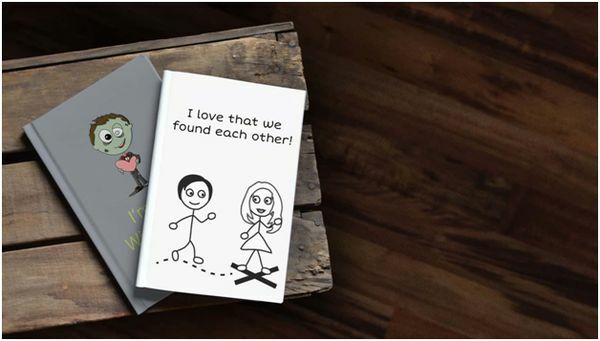 You can also add other characters to your book, so your couple will be surrounded by your families and friends that will also be excited to see themselves on the pages. This is probably the most heartfelt and meaningful gift ever, so do not miss a chance to share all the emotions with the love of your life and show him or her how deep your feelings really are. If you ever tried to choose the truly romantic gift for your boyfriend, girlfriend or spouse, you probably noticed that most of the online shops mostly offer you so-called regular gifts, for instance, roses, picture frames, candles, jewelry, watches, etc. Though every product from this list can be appreciated by your significant other, it will hardly surprise him or her. After realizing this, people usually start looking for personalized presents, and again, they mostly find out that though they are far more creative than the standard products, they also belong to the category of the most popular presents. “Reasons why I love you” book stands out among all customized gifts because you do not get your other half something with his or her name or the touching words from you on it, but the entire book about your everlasting love! 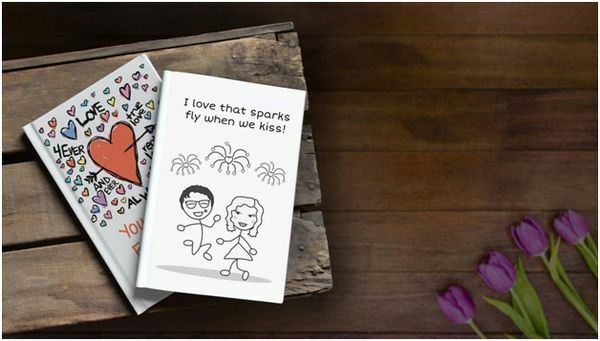 Such a nice souvenir is not just a thing your boyfriend or girlfriend will put on the shelf to look at it from time to time, it is your story, written and drawn on the basis of your idea. We bet that your couple has special jokes, moments, and words the meaning of which only you two will understand. Add them to the book! 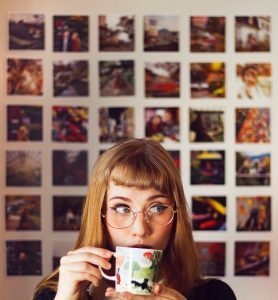 Do you have an interesting story of dating? You have an opportunity to make it real! Do you have kids? Be sure that they will be super excited to read a cool book about their mother’s and father’s love! Your spouse or bae will be thrilled to receive a gift like that. Just be ready to see happy tears in his or her eyes. It is generally believed that men are less sentimental than women, and it is partially true. 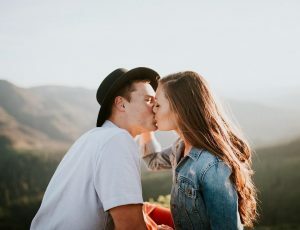 Even if you are dating with a brutal biker who cannot imagine his life without hard rock, his Harley, and whiskey, you should always remember that he also loves something gentle and beautiful – you. Do not even doubt that your sincere and touching words from you mean a lot for him, because everyone (no exceptions!) 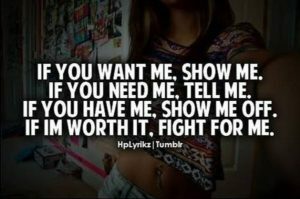 wants to know that the person who is the world for him shares his feelings and really care about your relationship. His gratitude for the “I love you because” book will be more than you expected! We may not often say to our significant others everything we feel deep in our souls, we do not speak about love for hours every day, but this book will express everything unsaid. Moreover, it makes a great for those who are extremely difficult to shop for – there is no person in the world who would not want to feel loved, so he will definitely appreciate such a present. It will bring a lot of positive emotions to both of you and will become the most memorable gift ever! How do you think, what gift is perfect for every woman, regardless of her age, social status, hobbies, etc? Maybe it is a nice bouquet or expensive perfume? However, none of these answers is right. The right one is extremely simple: the best present for any girl is something that shows her how loved she is. For example, if she wants to become a popular blogger or journalist, the cool laptop or notebook will show her that you take her dreams and ambitions very seriously. But what if she seems to have everything she needs? What if she did not tell you anything you could interpret as her hidden message? In this case, you should try to find something extra special, something that she will be really happy to receive. Do not know what to choose? Be sure that you will see the look of amazement on her face after she opens the box and sees a wonderful personalized book about your love story designed by you. 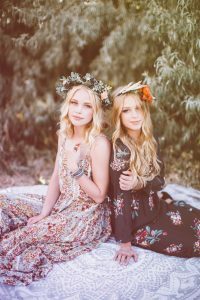 It is sure to be a hit, and do not even doubt that she will show her to her parents and friends, so you will become everyone’s favorite. She will open it every evening, and her love for you will grow even stronger. Is not is the perfect scenario? Is it your first anniversary or you are celebrating the decades you happily spent together? The book telling about the reason why you love your spouse will make the perfect gift in any case. 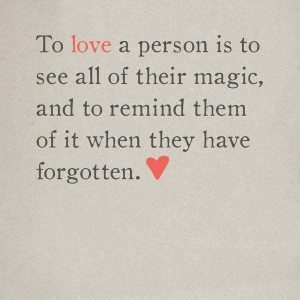 If your relationship is relatively new and you are still going strong, you can show your significant other how much he or she means to you, demonstrate that every second spent with him or her is precious and worth being captured on the pages of the very special book. If you are happily married for 5, 10 or 40 years, and it seems that all fantastic gifts were already given, choose the incredible customized “Reasons why I love you” book to surprise your husband or wife! Maybe it is not as expensive as the new laptop, or not as useful as kitchen supplies, but it is definitely the most romantic gift ever! Flowers, chocolates, candles, and champagne cannot be compared to the book you designed by yourself and dedicated to the love of your life. It will be a fun and at the same time touching experience to look at your spouse’s reaction, especially if you give it to your husband. Even serious brutal men cannot hide their emotions from such a creative and meaningful gift. It is the great time, it is the terrible time – this phrase can be said about the Valentine’s’ day. On the one hand, it is the time when the couples can express everything they feel, remind each other that they are special, and create a fairy tale just for two. But on the other hand, before the holiday day, a lot of men and women go crazy, trying to find a truly touching, meaningful and beautiful gift for their significant roses. Of course, you can always buy flowers for a girl and good-quality wallet for a boy, but you will hardly surprise anyone by getting a gift like that. 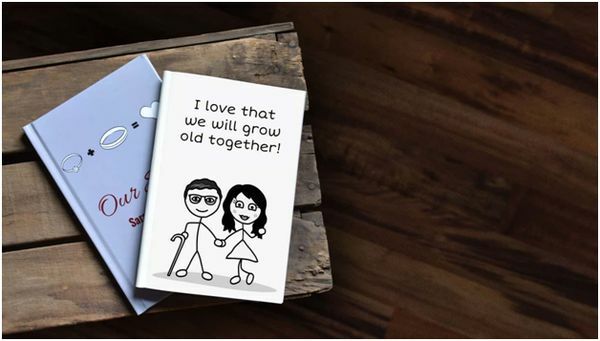 That is why personalized book telling your beloved spouse or bae why you love him or her, is the best gift ever. Be sure that your significant other expects everything but this! Such keepsakes are precious not only because they are creative but also because you personally put the efforts to make it special, it tells your story, and, of course, it shows how big your love is! If you want to spoil the love of your life definitively, give this book and tell that you are going to make the next parts, maybe one for the first year of marriage and then the next part when children other there. No one can resist the words like these!